Your child has a choice of paths to take. We offer a variety of diplomas that open doors at top universities worldwide. We aim to give your child the best preparation for their next leap in education. Our students leave Collège du Léman for a variety of destinations including top institutions all over the world. The College's experienced staff will help you choose the right diploma for your child's ambitions, and will help them become the kind of rounded, confident student that is prized by the world's best universities. We offer extracurricular activities, leadership courses and overseas initiatives that build your child's appreciation of the world, as well as several diplomas that prepare them for higher education on different continents. 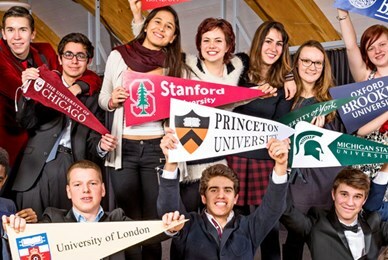 The International Baccalaureate Diploma Programme is highly-respected diploma that challenges students to excel in six subjects, including maths, literature and a world language. They must also complete an extended essay, a critical thinking element and a range of extracurricular activities themed around Creativity, Activity and Service. The International Baccalaureate Career - related programme provides a flexible framework, focusing on 21st century skills focusing on the areas of hospitality or sustainable management. The French Baccalaureate is prized by all French universities. It demands a high level of spoken and written French, and features three different versions depending on the skills and interests of your child: Economic and Social, Literary and Scientific. The Swiss Maturité secures students entry into Swiss universities. 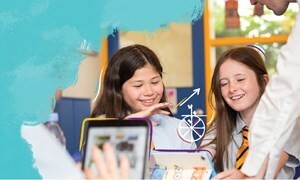 Subjects are split into two categories; the first being a mix of humanities, sciences and arts, and the second including languages, maths and two optional elements.